A few weeks ago we lost James Arness, who played Marshal Dillon on Gunsmoke. I'd come to regret that I didn't post anything about it at the time and promised myself that I'd try to do better when it came to marking the passing of an iconic person who excelled at their craft. 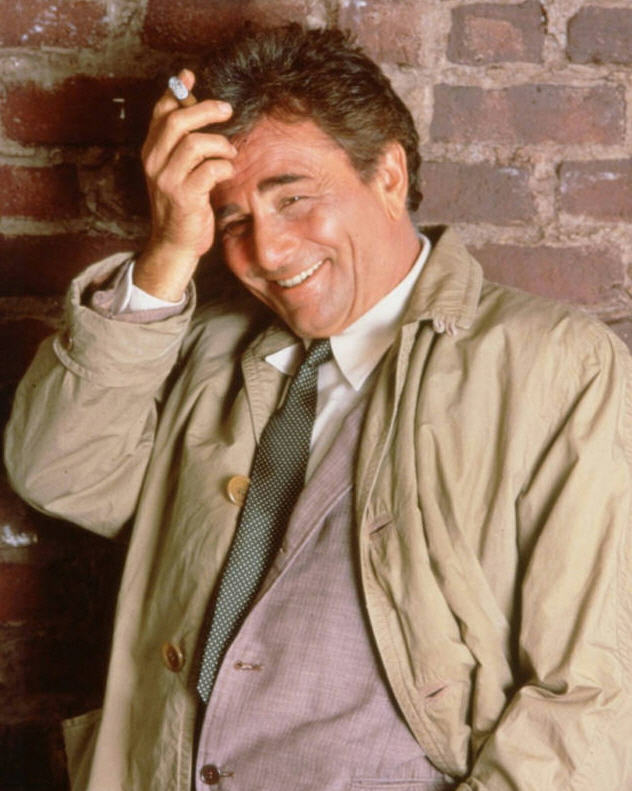 The very sad news coming off the wire this afternoon is that Peter Falk, who played Lieutenant Columbo from 1968 to 2003 (yowza!!) on the television series Columbo, has died at the age of 83. In addition to Columbo, Falk is also well known for playing the grandfather in the movie The Princess Bride. Think that in remembrance of Peter Falk, that I'm going to spend the rest of the day carrying around a cigar while badgering and harassing people incessantly with questions. Peppering it with lots of "just one more thing..." 'course. Seriously though: he was a terrific actor, and he will be greatly missed. "He'll pinch my cheeks....I hate that!" Mr. Falk will be missed!